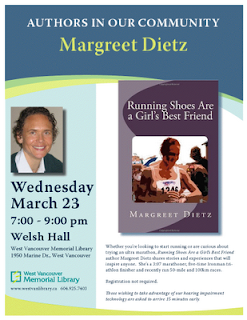 Please join me tonight at the West Vancouver Memorial Library for a talk about my first book, Running Shoes Are a Girl's Best Friend. I will also have copies of my latest book, A Hundred Reasons to Run 100km which arrived only yesterday! At least two of the ultrarunners I interviewed for this book will attend tonight. 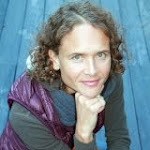 There will be plenty of inspiration and practical tips for runners of all levels. I'm also offering a special deal on some of my books. Hope to see you there!